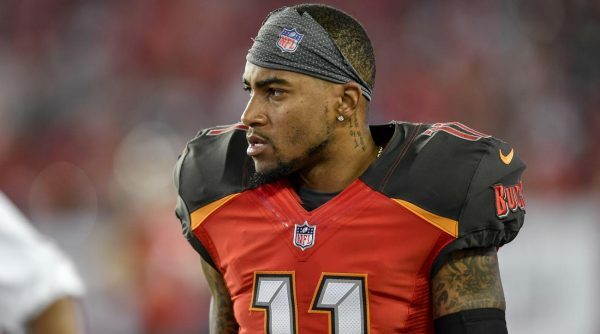 The Tampa Police Department said Thursday the case involving Buccaneers wide receiver DeSean Jackson’s wrecked vehicle found abandoned with bullets and marijuana inside is currently inactive because they don’t have any witnesses or evidence to place the driver behind the wheel at the time of the crash, Jenna Laine of ESPN reports. They also believe that Jackson was a victim and had no role in the incident. Instead, police say that Jackson’s friend Therrian Fontenote was the one driving the vehicle at the time of the December crash, which resulted in significant damage to the vehicle and minor property damage. Jackson said that he was out of town at the time that the crash took place and that the vehicle was borrowed without his permission. No arrests have been made. 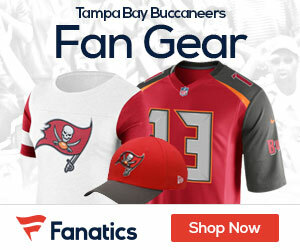 “We don’t have enough information to definitively say who was driving when the crash took place,” said Tampa Police spokesperson Janelle McGregor. According to the police report, on Dec. 24, 2017, a blue 2016 Chevy Silverado belonging to Jackson had crashed into a tree and was found abandoned on West Shore Boulevard near International Mall in Tampa. The driver fled the vehicle on foot in an unknown direction. Police then discovered two hollow-point 38 special caliber bullets and 6.3 grams of marijuana inside. When Jackson was contacted about the accident, he attempted to report the vehicle was stolen. When pressed by police, he eventually admitted that the driver was Fontenote. Police say that the mall did not provide surveillance footage of the incident, which occurred near a parking garage. Jackson has also not followed up on the crash or facilitated in Fontenote coming forward to take responsibility, a contributing factor in the case’s inactivity, despite the fact that Fontenote had a warrant for his arrest related to traffic offenses. There were no witnesses.